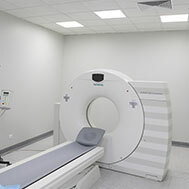 In light of our continued work within the healthcare industry Steon Lighting have expanded their range of products suitable for clean rooms as well as other environments in which health and hygiene are of paramount concern; areas such as hospitals, operating theatres, laboratories, care homes commercial kitchens and schools can all benefit from these luminaires. Lighting within the healthcare sector have exacting requirements over and above providing adequate light levels. Luminaires within these schemes must abide by stringent hygiene requirements and regulations. Steon’s Obrit Hygiene enclosure is injected moulded from polycarbonate with anti-microbial properties. The Orbit Hygiene eliminates micro-organisms that settle on it and inhibits their growth, the enclosure is also effective against bacteria such as MRSA and E.Coli. The Orbit Hygiene LED is available in 4000K and outputs from 2156lm – 4872lm (luminous efficacy up to 163lm/W). The luminaire is compatible with intelligent lighting controls such as Manual Intelligent Control (MIC®), 3 hour-maintained emergency is also optional. For more information please see our technical datasheet. Due to being IP65 (dust tight & water jet proof) and fully recessed the Hermes LED is suitable for specification in operating theatres, laboratories and clean rooms. This modular panel is smooth with no obtrusive screws and a unique lever release system for healthcare environments where impenetrable enclosures are necessary. Appliances such as these must be serviced with an abundance of light up to 1,000 lux in some instances. This is why the Hermes range was developed to boast enhanced output and great efficacy, along with uniform light distribution to avoid shadowing. The Hermes is available in 4000K and a range of outputs from 2784lm – 11136lm ( luminous efficacy up to 155lm/W). Options for the modular panel include 3 hour maintained emergency and DALI dimming. Due to our continued work within the healthcare industry we have developed a range of products suitable for areas such as schools, hospitals and operating theatres.